There is a long tradition of innovative responses to the needs of older people in Kerry. These range from older people’s networks, information days, tea dances, short mat bowling programmes, Rural Men’s Group, Men’s Shed networks, Group holidays, health and wellbeing programmes, choirs, transport initiatives etc. State Agencies such as the HSE and Kerry County Council have worked on innovative housing and community developments projects. Being cognisant of this work and building on this strong foundation was central to a formal approach to the development of the Age-Friendly programme. To add value the embedding of age friendly work in policy was seen as the single most important first step. Therefore the Kerry Local Economic & Community Plan (LECP) contains the framework of the County’s Age Friendly Strategy and the Age Friendly County Programme which ensures it’s alignment to the work of Kerry’s Local Community Development Committee (LCDC), which represents the local community and the local public and private sectors. Actions outlined in Kerry’s Local Economic and Community Plan (LECP) were developed collaboratively with all relevant stakeholders and older people’s representative groups across the County. 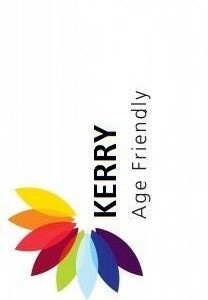 The Kerry Age Friendly Steering group/Alliance reports to the LCDC. This multi-stakeholder approach is continuing to develop methodologies where the appropriate State agencies, NGOs and older people can engage more effectively together to both identify and deliver actions. The Age Friendly Council provides a voice for older people. A result is that national funding streams have been targeted locally at Age Friendly initiatives. Embedded in the LECP is the County’s commitment to establish Kerry as an exemplar county for Accessible Tourism. Kerry is committed to working with other stakeholders to promote and develop universally accessible tourism environments and services for citizens and visitors alike. Other initiatives include access audits, meeting spaces and training in ageism awareness and public realm.